I have another (Wisdom)WhateverWednesday for you. I’m usually not someone who loses things, but if I do, I really don’t care enough to go look for it. I lift a few things, look around a little and maybe bend down to look on the floor, but that’s it. That’s all I do. So when I lose something, it’s lost forever. But then there’s my mother. (Yes, I still live at home and I love it!) I tell her I lost something and an hour later she’ll walk into my room with the thing I lost. I didn’t even tell her where I lost it. I could have lost it on my vacation in England and she’ll still walk into my room telling me she found the thing I lost. It’s like magic. My mom is magic. I mean the other day I lost an earring while taking of my scarf. The fact that my earrings fly out of my ears while taking of my scarf should probably say something, but oh well. I looked for maybe 30 seconds and gave up. The earring would be lost forever. This morning I’m downstairs, doing nothing and my mom is telling me she couldn’t find the earring either. All I could think was Rest In Peace earring, you were taken from us way too soon. Who would have known that when I bought you, you would be taken from us by a scarf? While this is going through my insane and crazy mind I hear something fall in the hallway. And yep, my mom just found my earring. If Hogwarts was real my mom would definitely have gotten a letter! I’m sure of it. I know you read these posts mom, so this one is for you! Thank you for always finding the things I lost. So what did you learn today? 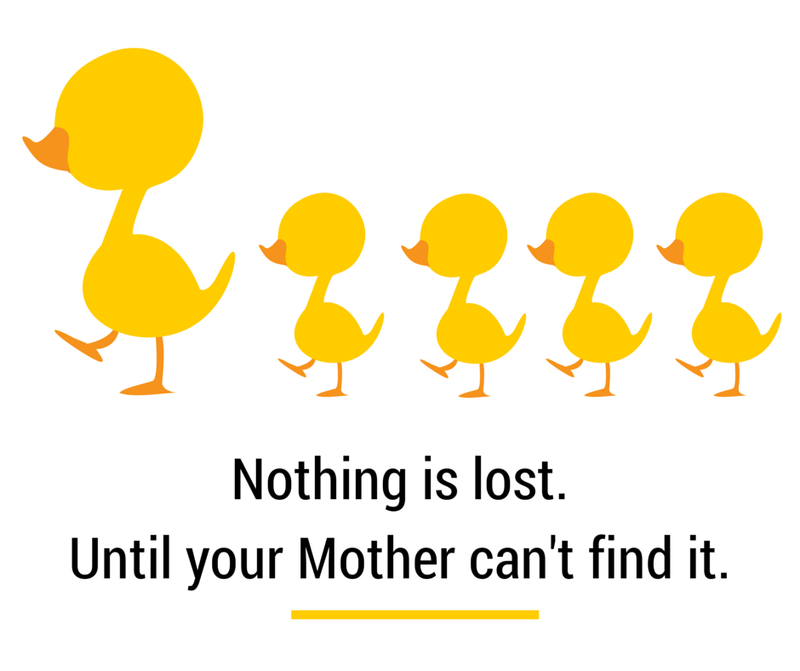 Nothing is really lost until your mother can’t find it!